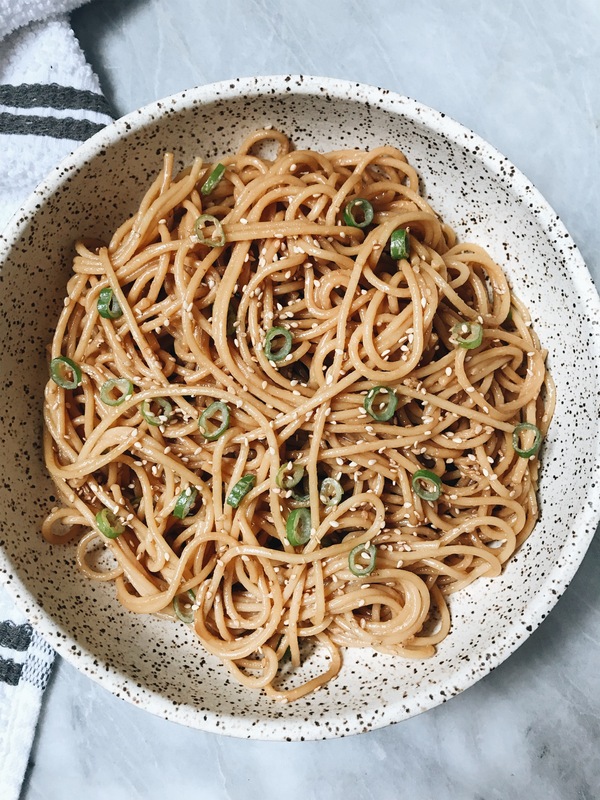 Nut allergy stopping you from making sesame noodles? 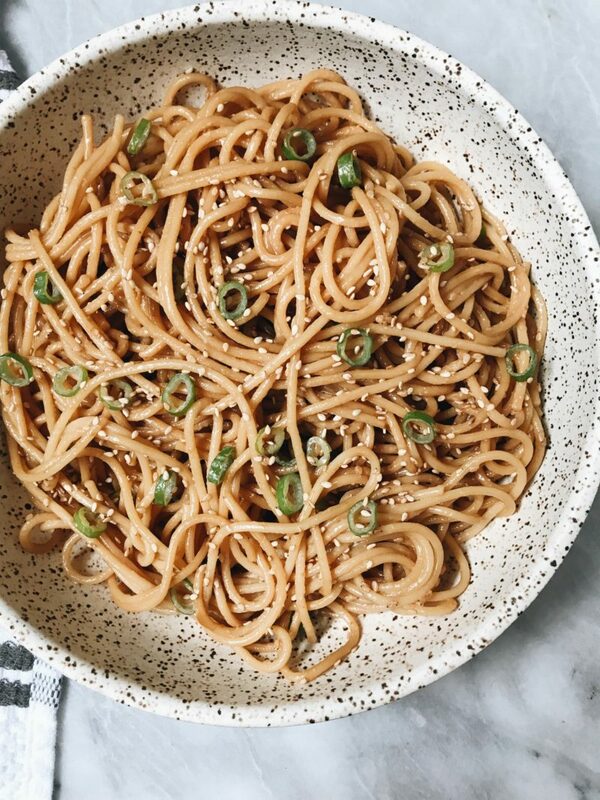 Try out these peanut free sesame noodles made with sunflower butter. Growing up my family and I would order Chinese food around once a week for dinner. My parents would get the sesame noodles and I always was interested in trying them. However, I was allergic. 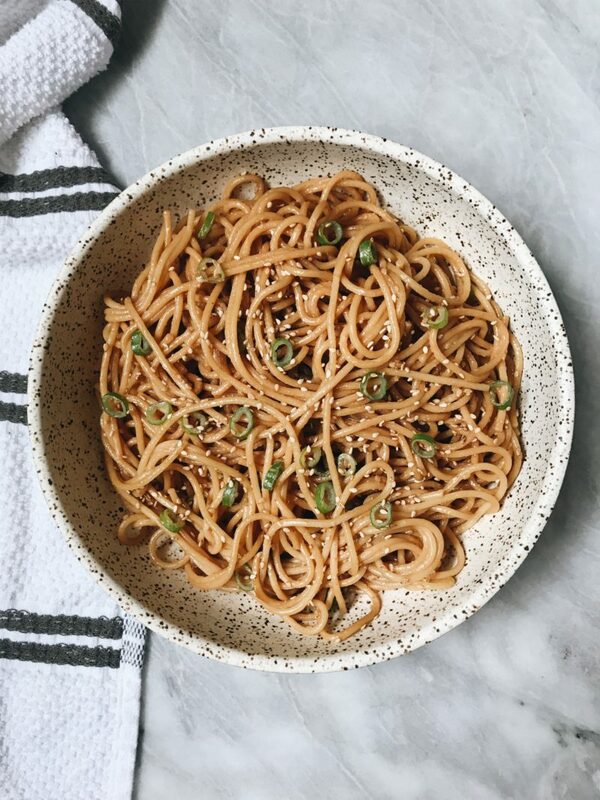 Many sesame noodle recipes contain peanut butter which I obviously cannot eat. When I went Vegan I only ate soy nut butter, but a year later I got into sunflower butter. I truly have not looked back! Sunflower butter is absolutely delicious. It’s great in a ton of baking recipes, or savory sauces. Back in February I came out with my Sunflower Butter Sesame Chickpeas. You guys really seemed to enjoy it so I decided to make some sesame noodles. I’ve been brainstorming a ton of new recipes for the blog and I’m really excited about it. I can personally admit that I haven’t been blogging as much because since moving my schedule has been crazy. However I am excited to be bringing multiple recipes to the blog a week. Sesame noodles can be made with rice noodles, soba noodles, etc. I just took a short cut and went with spaghetti. I just love the texture of spaghetti and thought it worked great here. When making this recipe you have to make sure your sunflower butter has no added sugar! It should just be sunflowers (sometimes salt is added and that’s okay). I really like the Sunbutter brand but have recently been purchasing the Trader Joe’s brand due to convenience. It’s also cheaper. Cook your spaghetti according to package instructions. Once cooked, drain and return the noodles to the pot. Combine all of your sauce ingredients into a bowl. If the sauce seems too thick, thin it out with a little hot water. Thinly slice your green onion. Add your sauce & green onions to the noodles and toss. Plate and garnish with extra green onions & sesame seeds.